I think maybe because the color red is my favorite, this figure looks better than all the other ones in the same packaging from Mattel. Regardless, it has the same big window on the front that allows you to see what all is included within. 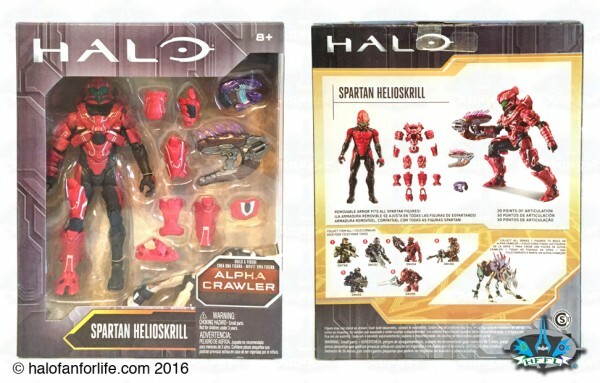 On the back it shows the spartan without it’s armor on, as well as the weapons included and the other figures in this series. 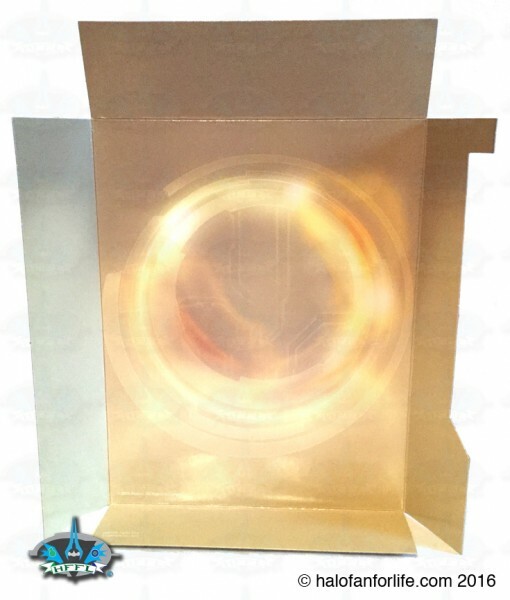 The insert cardboard piece could be used as a backdrop for you figure, should you choose to display it. Here is the plastic tray with the figure and parts. You also get a small instruction sheet. Note that the Helioskrill comes with the two FRONT legs of the Crawler. Various views of the figure. There is a LOT of detail here in the sculpt. I highly recommend you open the pic in another window to see it in greater detail. Close-ups of the figure’s detail. I really like this helmet. Definitely reminds me of an Elite’s head. Mattel did a fantastic job with the sculpt overall. The thigh armor is particularly awesome as it has the cutouts present. Lots of white pinstriping add nicely to the paint application of the figure! You get a Plasma Pistol and a Needler Rifle, each with a pin to attach to the figure if you choose. The Plasma Pistol stores easily on the thigh and can be held by the figure with no issues. While there is a peg hole on the back of the figure, it’s a little tough to get the Needler to fit between the shoulders due to the size and shape of each. The paint on this and the Plasma Pistol and fantastic. I REALLY like that the needles are translucent pink. As you may know, I’m a HUGE fan of clear toys, so this is always a nice addition. 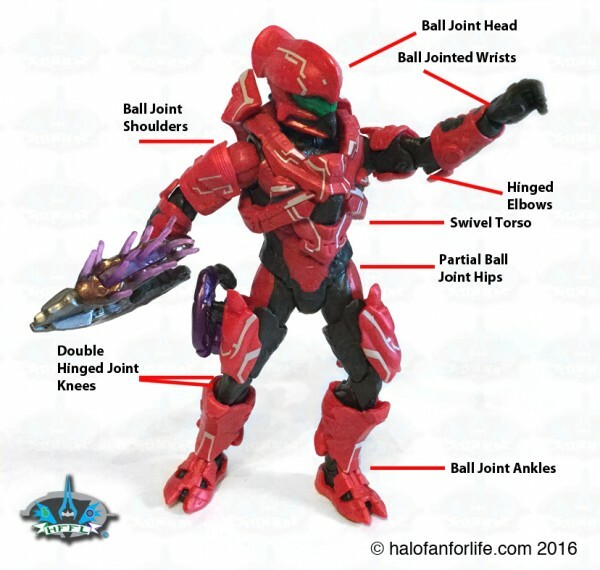 One thing cool to note is that the figure can hold the Needler by either one OR two hands! Here are the two front Crawler legs. I’ll have a review for the cralwer itself, once I complete the reviews for the rest of Series 1 of the Mattel figures. The Helioskrill can perform a Spartan slide quite well. Er, well, at least be posed as doing that! Speaking of posing, the articulation is awesome. 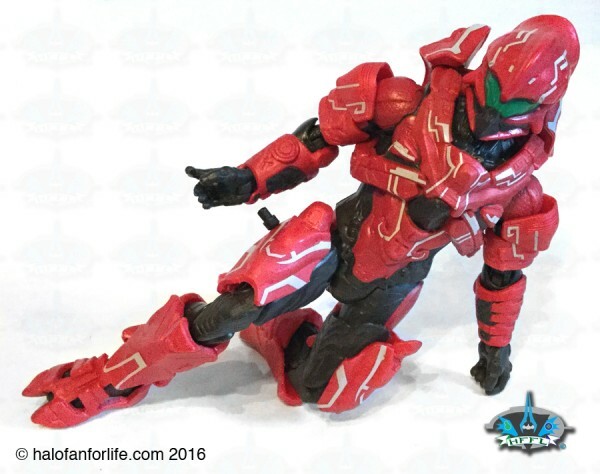 There are s TON of poses you can put this and the other Mattel Halo figures into. Really great work here! 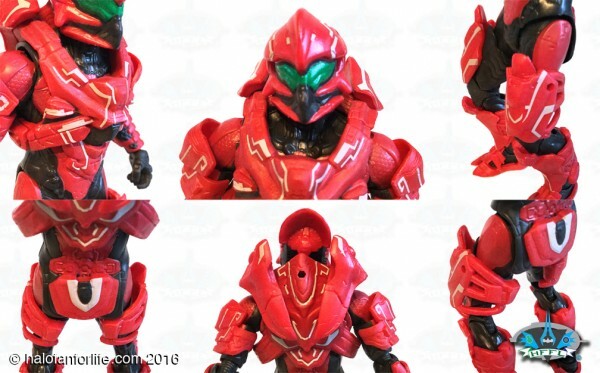 Articulation: As you can tell Mattel has done a great job with articulation for their Halo acrtion figures. Superb! 10 of 10 medals. Paint Application: The paint is nicely done. THe white pinstriping is a nice touch and way to bring out additional details. The green visor color is VERY cool! Just so happens, this figure works as a Christmas Halo figure too! (That’s why I’m posting it on Christmas Eve!! 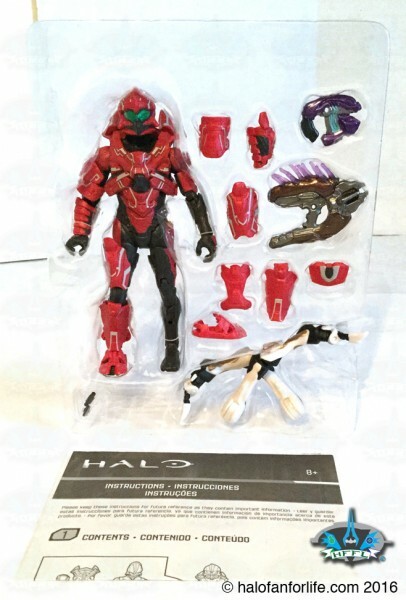 Hint to anyone buying Halo merchandise for their loved ones…) The only slight issue I have is that the armor looks very plastic. A slight varnish coating would have helped to make this look more metallic. It IS a toy however, so I can’t knock it too hard for that. 9.5 of 10 medals. Do I recommend this product? YES! An outstanding figure. 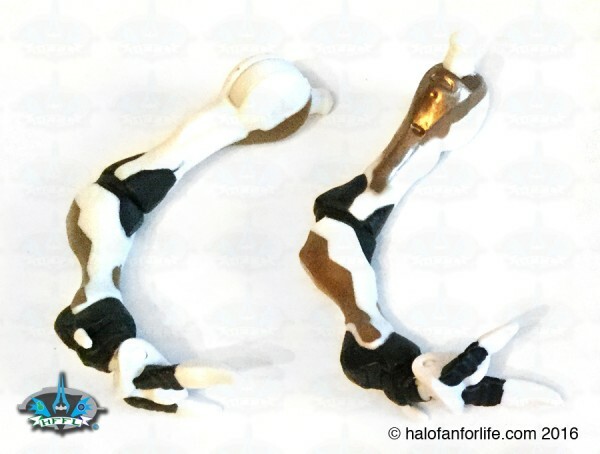 This is the FIRST Helioskrill figure to be made by Mattel. It was also available as a San Diego Comicon exclusive in different packaging, during the summer of 2016. At the $12 I paid for this, it’s absolutely worth it! At retail prices ranging from $15-18, I still think it’s worth it. So if you’re looking to start a Halo action figure collection, I firmly feel you can’t go wrong with Mattel’s Halo action figure line.